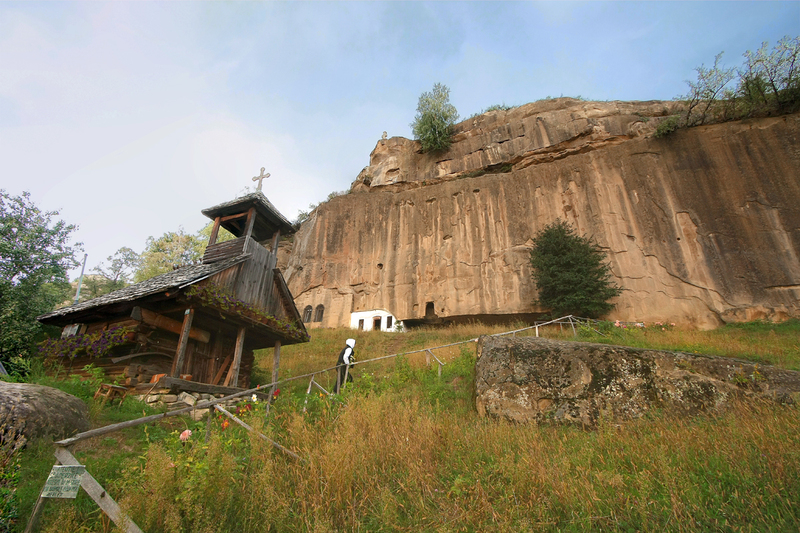 I visited the impressive Stone Ravens Monastery on 21 September 2008, in a one day trip that also included the Poenari Fortress. 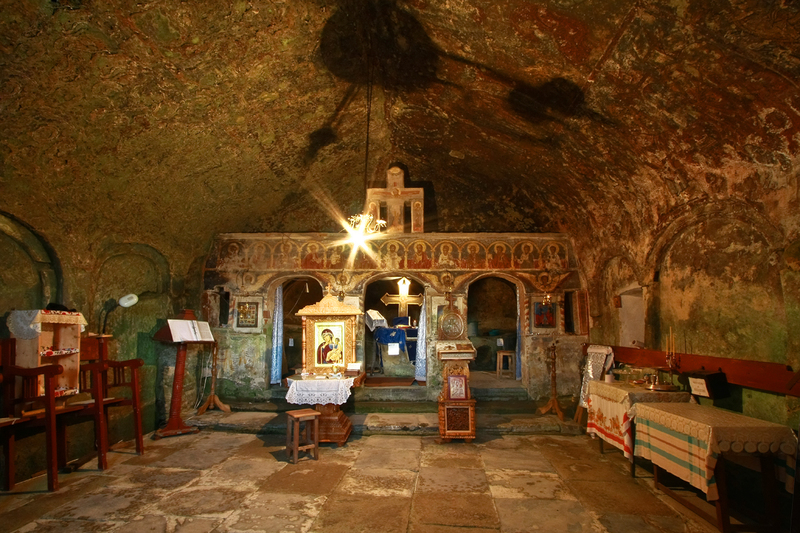 Located in the Corbi village, between Curtea de Arges and Campulung this is one of three rupestrian Churches in Arges, together with “Cetatuia” and “Namaesti“. This 500+ year old church serves currently as yet another proof of the hard times Romanians had to endure during their permanently besieged history. 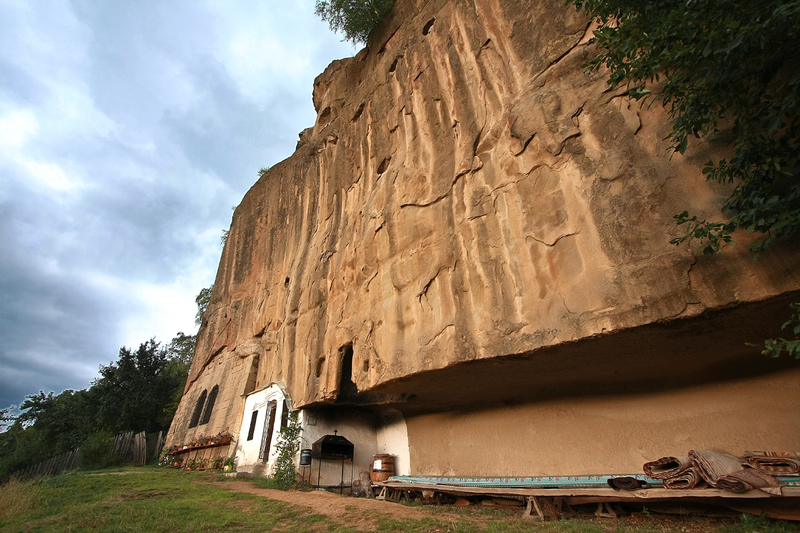 All over Romania you can see regular people’s livelihood was very modest and poor, remote, secluded – easily to abandon when confronted with yet another invasion.Only the most important historical monuments are in military defensible places. If I’ve got your interest, here’s how to get to it (you should not regret it): take DN 73C from Curtea de Arges to Campulung, and in Domnesti, take a left to reach Corbi village. If you are in Corbi and you can not find the Monastery, you should give up traveling just ask any local. The road is good, cand be made with any car. Maybe Lamborghinis would have a hard time with the last 500 meters, but I am sure no reader of mine would take his Lambo to visit a mountain Monastery ;-). 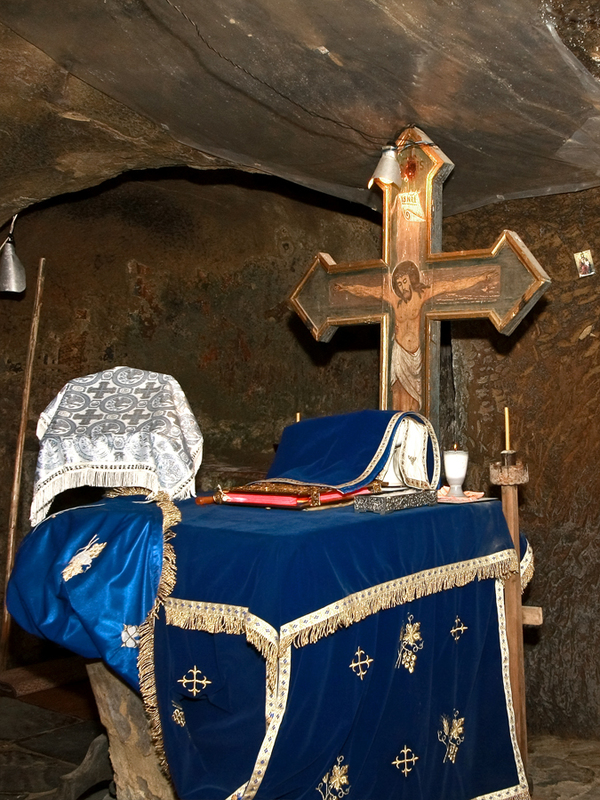 If you want to see the ‘official’ site, in which they describe what the monastery is not !? !, or to see a very ugly map or some ugly photos here it is. UPDATE: It has been very kind of Michele to point out to me that an archaic word in Scottish for Raven is Corbie , which I found very interestingly close to the Romanian Corb (Corbi)! Thank you Michele! 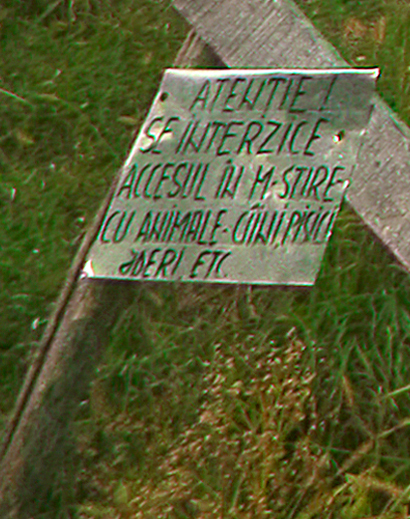 "It is forbidden to enter the Monastery with pets: dogs, cats, martens, etc." !?! We could understand the request of not bringing you pet to a holy place, and until the cats we had no beef with the sign, but the martens part really made us wonder about the habits of locals in the area. If someone does not know what a marten is, IT’S A FREAKING WILD ANIMAL THAT PREYS ON SQUIRRELS, MICE, RABBITS etc. Here are the Romanian definition and taxonomy, and a Google Images Search to show you this lovely pet. If you liked this post, be sure to SUBSCRIBE to the blog (either by EMAIL or by RSS) because there are more pictures from this trip coming soon! I have the same feeling, and I also have an idea of what might be missing: the essential ingredient of [i]photo[i]graphy – THE LIGHT. It was a very ugly afternoon, with a dense drizzle and grim atmosphere. However, I was there and really thought the place deserved being known. Weasels and martens? I never take my weasels and martens into monasteries. Or have you left the country? If only more people could read this. Heh I am really the first reply to this awesome post?! ?